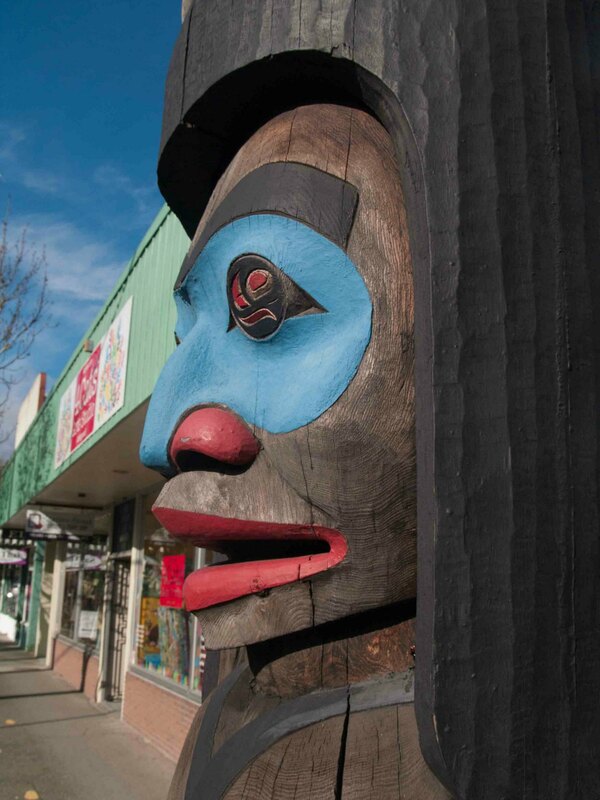 In 1985 the City of Duncan began the City of Totems project as a way of attracting visitors to Duncan. The project involved the commissioning and acquisition of totem poles for display on downtown streets and other selected locations outside the downtown core. 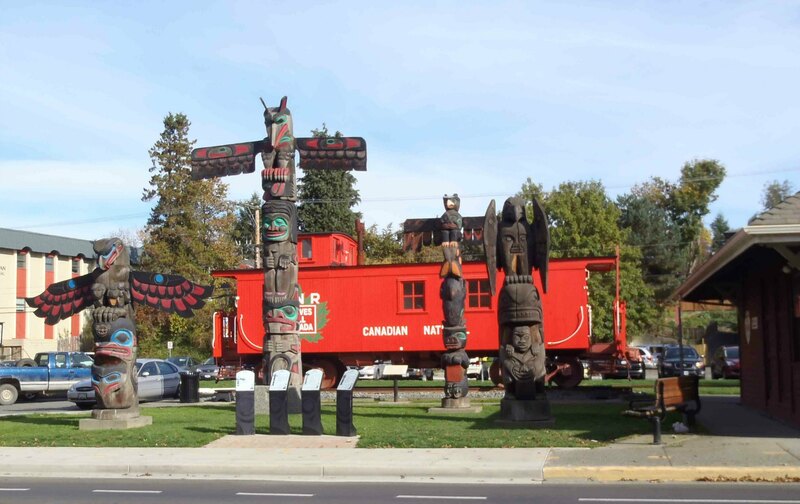 We have included a Suggested Walking Tour of Downtown Duncan Totem Poles and a separate page with a digital map of the display locations of the City of Duncan totem pole collection. Also see Totem Poles Outside Downtown Duncan and City of Totems for more information on the City of Duncan totem pole collection. Owl Spirit totem pole, Chief figure, face detail. Station Street, Duncan, B.C.